All of you lucky iPad owners out there (and according to Apple, that’s 25 million of you) now have the chance to view the new iPad edition of the CJSM Blog for free! The iPad edition, fully compatible with iPad 1 and 2, is presented in a magazine style format that allows you to turn the pages easily with just a swipe of your finger. This format is really easy to use, and has the feel of reading a traditional glossy magazine. It’s also a great way to show off your iPad to your friends and colleagues, and has a real ‘wow’ factor built in. Once you have turned the cover page, you will access the ‘all posts’ page where individual blog posts are listed in boxes and easily accessed with the tap of a finger. This makes it really easy to link to the posts you want to read straight away. There is a menu on the upper right hand screen of the ‘all posts’ page which allows you to select individual categories of blog posts to list on the posts page if you wish, so you can just see the categories you wish to access. When you access individual blog posts, they will appear in a scrolling format, with the ability to read other readers’ comments and to add your own by pressing the word cloud icon in the top right hand corner of the post. In addition, you can share the blog posts with your friends and colleagues easily by email, or by several social media and knowledge sharing applications using the icons at the bottom of the blog post page which link directly to Facebook, Twitter, StumbleUpon and Reddit. 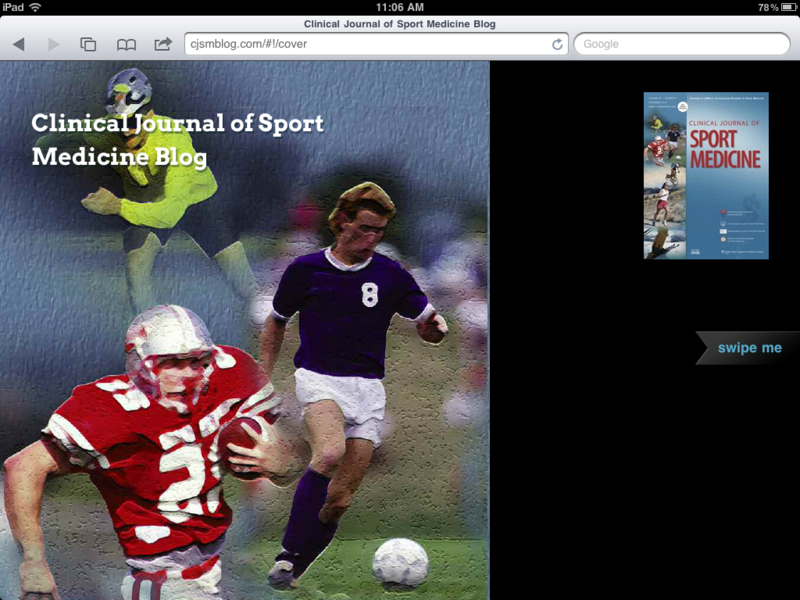 In addition, you can easily switch to the traditional browser format of the blog if you want to. 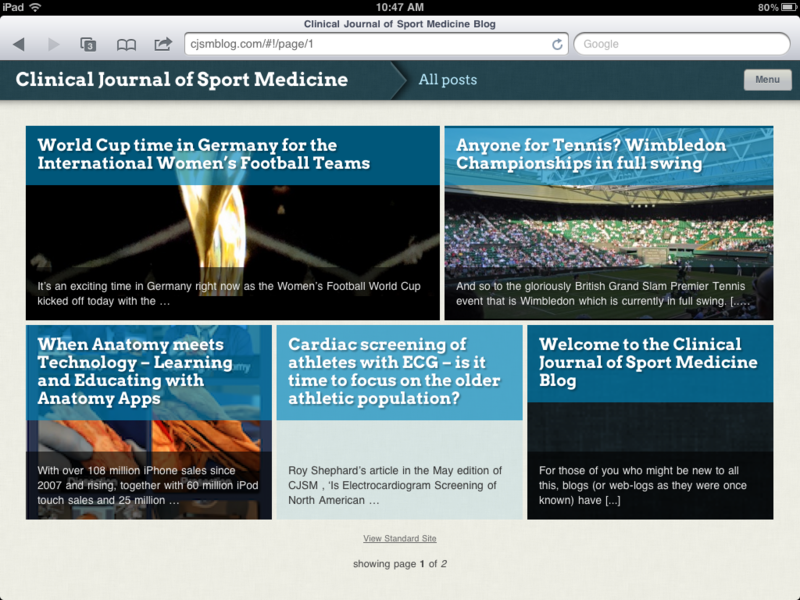 We at CJSM are excited with the new iPad edition of the blog and hope that you will enjoy it too. It’s so easy to share the posts with your friends and colleagues and to get involved with the conversation. Come and give it a go, and don’t forget to let us know what you think.